I went to three Dollar Trees in one day to find the supplies for a specific craft. When I couldn’t locate a specific component, I made this wreath instead. I am deeming it sweet potato week. Why? Just because I can. 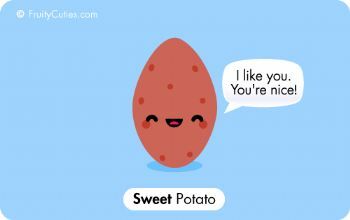 Sweet potatoes are nice, and they think you are nice. Don’t worry. This isn’t going to be a week of nothing but recipes. I am hoping to cover as many of my “lives” as possible. To start our sweet potato celebrations, I am going to show you how to make sweet potato people. This is an activity that I used during my Children’s Literature class as a follow-up to telling a folk tale. My class loved it, and it is great to use with children of all ages. 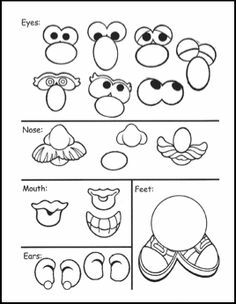 Allow each student to color and cut out a few body parts. Use glue and toothpicks to attach the body body parts to the potato. Some younger students may need help. Display your Sweet Potatoes People. It’s no secret that I am a bit of a cheapskate. So when I decided that I wanted a new t-shirt with a camera on it for my photography job this summer, I scourged the internet for the most inexpensive shirt I could find. I found an adorable shirt for only $10 and was ready to check-out of the online store when an idea came to me. Last year I ordered a camera shirt for the summer. When the shirt came in the mail, it was the wrong size. The store sent a replacement and offered to let me keep both shirts. Since then, the incorrectly sized shirt has been sitting in my craft drawer. Using a Goodwill t-shirt, the too-large shirt in my craft drawer, and some acrylic paint, I recreated the online $10 steal for less than $4. A penny saved is a penny earned. Cut out the image of the ill-fitting tee. Pin the image onto the shirt that fits. Use a zig-zag stitck to sew the image onto the shirt. Place cardboard inside the shirt so that it separates the two layers of material. On a piece of paper, I wrote the text that I wanted to add, and I placed it on the shirt to decide where I wanted it. I used permanent marker to lightly write the text on the shirt before painting it. Use acrylic paint to decorate the shirt. If the number of cookies I eat directly correlates to the number of unpleasant moments I experience, then one could assume that I am regularly unhappy. Thankfully, I eat cookies whether I am happy or sad, pleasant or unpleasant. The only thing better than eating cookies may be baking cookies for someone else. There is something so calming about mixing brown sugar, eggs, and flour. I love scooping small balls of dough onto the cookie sheet (and eating the raw dough that doesn’t quite fit). The crinkle of parchment paper is a joyous sound. Yes, I love cookies and baking. But where does one store endless hordes of cookies (other than their stomach)? A cookie jar of course! Since I love crafting almost as much as I love baking, I made my own cookie jar to house my favorite treats. 1 large empty plastic container (I used a protein powder container, but you could also use a pretzel container or buy a container at Wal-mart). Completely paint the outside of the container in a solid color. Let dry. Using the V-shaped sponge, lightly paint chevrons around the top and bottom of the container. These V-shapes will only serve as a guide for the next step, so they do not have to be perfect. Use a brush to completely paint the V-shaped marks. Add a row of polka-dots between the two chevron rows. I write everything down. Everything. If you were to see my planner, you would probably get lost trying to interpret the scribbles and chicken scratch that litter the pages. The reason that I write everything down is that I don’t want to forget it. I think that wall decor should serve the same purpose. Pictures remind us of past experiences, and plaques convey important messages. If you are looking for a creative way to post a long-term reminder, this DIY quote canvas is a simple, inexpensive project that can be completed quickly.